Get your lunch containers ready! It’s that time of the year again when packing lunches becomes part of your daily routine. You already know that a healthy lunch can help fuel your kids, but it can also help them to learn; a nutritious lunch can help keep your child feeling good, better able to pay attention, and energized to tackle an afternoon of school. When it comes to school lunch, turkey gets a gold star! Turkey is a nutrient-rich, whole food filled with minerals such as zinc (for a healthy immune system) and vitamins such as B12 (for a healthy nervous system – including your brain – function). Turkey is lean; the small amount of fat provides energy and can help your body absorb vitamins from veggies in your lunch like vitamins A and E.
Turkey is packed with protein for longer lasting lunch satisfaction so your kids can avoid the afternoon slump and the after-school hungry grump! 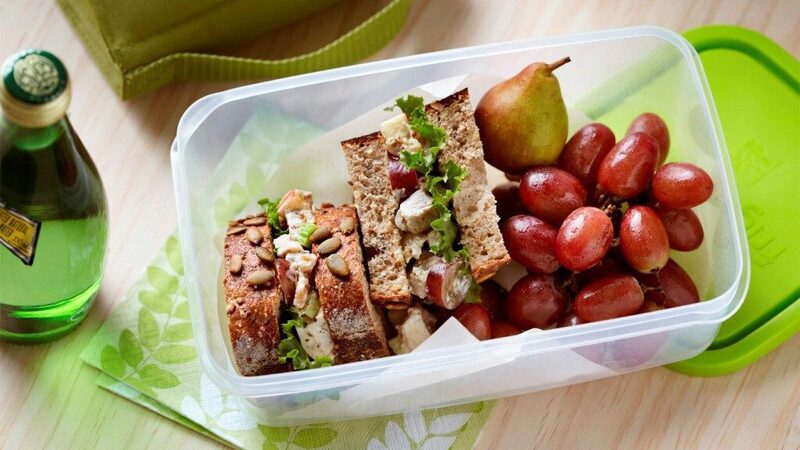 Turkey gets top marks for helping you pack nutritious, delicious lunches quickly. As a parent, I understand the time crunch that parents face during hectic weeks. I know that it can be convenient to pick up packaged lunch and snack foods; but, nutritionally speaking, they don’t always make the grade. So, what’s a busy parent to do? My top tip: Make extra turkey at dinner so you can easily reinvent leftovers into packable lunches. Just choose your favourite turkey recipe for dinner, plan to make extras, and then reinvent the leftovers into something entirely different for lunch! Three kid-approved Build-It-Yourself lunches featuring planned extra turkey. Letting kids build their own lunch not only helps busy parents, but it also helps build important food skills. And, build-it-yourself lunches can also help reduce food waste. That’s because kids are more likely to try foods that they’ve chosen and prepared. Turkey Buddha Bowl. Put out all sorts of ingredients and let your kids build their turkey Buddha Bowl the way they like it. (Build one for yourself while you’re at it!) Start with a whole grain such as brown rice, whole grain pasta, or barley. Add on cold leftover sautéed or grilled turkey thighs. Offer a variety of vegetables such as: cucumber, carrots, cherry tomatoes, roasted vegetables, or sugar snap peas. Lastly, sprinkle on tasty toppings such as cheese, dried fruit or seeds. Pack an extra small container of dressing to drizzle on at school, just before digging in. Dinner, then lunch: Tex Mex Turkey Rice Bowl. This bowl is filled with veggies and flavourful turkey thighs and makes a really tasty build-it-yourself dinner. Double up on all ingredients for creating Buddha Bowls for lunch. 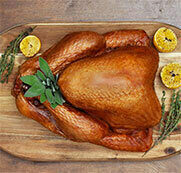 Good to know: dark meat, including turkey thighs, is even richer in iron, zinc and selenium! Roasted Turkey Sandwich. Sandwiches are lunch box staples. Keep it interesting by switching up the whole grain breads and letting kids choose their own toppings. Don’t like lettuce? Try cucumber. Not a fan of mustard? How about avocado? Turkey pairs perfectly with a huge variety of veggie and condiment combos. Your more adventurous eaters will love this Vietnamese Turkey Sandwich! Cut bread into smaller portions for kid-size sandwiches. If they aren’t lovers of broccoli slaw, substitute other veggies like leafy romaine lettuce and shredded carrot. Dinner, then lunch: Turkey Scaloppini is divine on a bed of tender-crisp vegetables for dinner and ideal for sandwiches the next day. Turkey Tacos. In a bento-style lunch box, pack the sections with grated cheese, salsa, shredded lettuce, chopped cherry tomatoes or any taco fixings your kids enjoy. Heat up leftover ground turkey taco or burrito meat and put in an insulated container. Wrap up a couple of small whole wheat or corn tortillas. Kids can build lunch at school as they eat. Dinner, then lunch: Turkey Burrito Casserole. Make a double batch of the ground turkey burrito mixture so you’ve got extras ready to go for a terrific taco lunch.